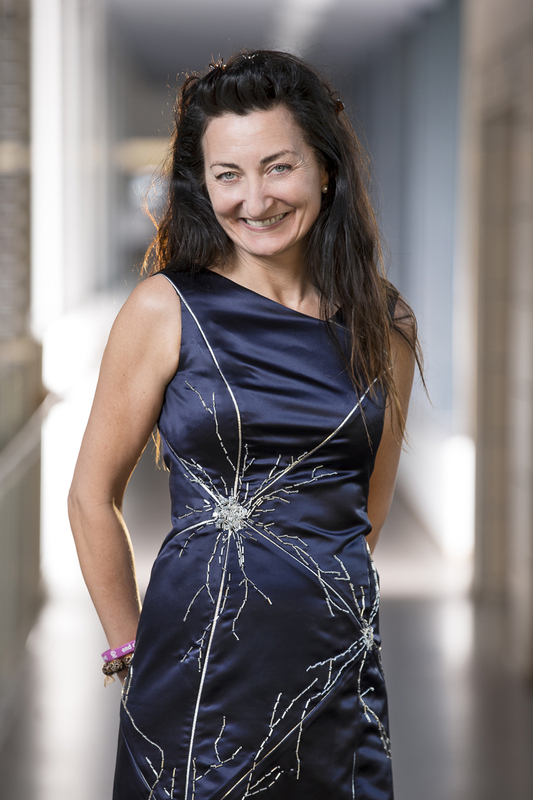 The embroidery, sequins and beads depicts her breakthrough research. Can you guess what they are? They’re neurons! Specifically GRID NEURONS, the finding of which May-Britt Moser, her husband and fellow researcher Edvard Mojer, and colleague John O’Keefe first accomplished in 2005. These specialized brain cells are “central to how the brain calculates location and navigation” (Moser and Moser, “Mapping Your Every Move”, Cerebrum, 2014 Mar-Apr; 2014). The trio went on to uncover other unique neurons such as border cells and place cells which communicate with the grid cells to inform various cognitive functions from memory to decision making. And what better way to show them off than on a dress? Especially when meeting the King of Sweden! …and of course receiving the medal. Read more about the discovery and function of these marvelously fashionable neurons in a review article written by the Mosers in Cerebrum. Thanks to IFLScience for the original article. Want even more Good News Review? Follow us on Twitter @tgnreview! New Dr. Seuss Manuscript Found!